Please type your desired tags, e.g. Security, Biology, Criminology & Criminal Justice, Public and Nonprofit Management, Biochemistry and Biophysics, Accounting, Information Systems, Business Communication, Mental Health, K-12 Education, Gifted & Talented Education, Chess, American and British Women’s Literature, British Literature, Rhetoric and Composition Theory, and etc. My research interests are in the broad area of system and control theory, and its applications. At the moment I am working on problems in stochastic realization, specifically approximating high-order Markov and hidden Markov processes by lower-order processes, and the large deviation properties of such processes. On the applications front, I am interested in applying these (or any other appropriate) ideas to problems in computational biology and quantitative finance. 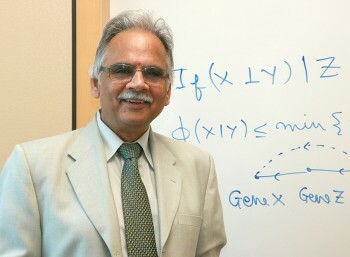 Dr. Mathukumalli Vidyasagar, the Cecil H. and Ida Green Chair in Systems Biology Science, is an inaugural recipient of a fellowship designed to boost science research in India by providing opportunities for eminent overseas scientists to conduct research in the country. The Jawaharlal Nehru Science Fellowship, named after India’s first prime minister, is bestowed on accomplished scientists who are Fellows of the Royal Society or members of the U.S. or French national academies of science or their equivalents. The scientists will work part time in an Indian laboratory of their choice for a total of 12 months, spread over three years. 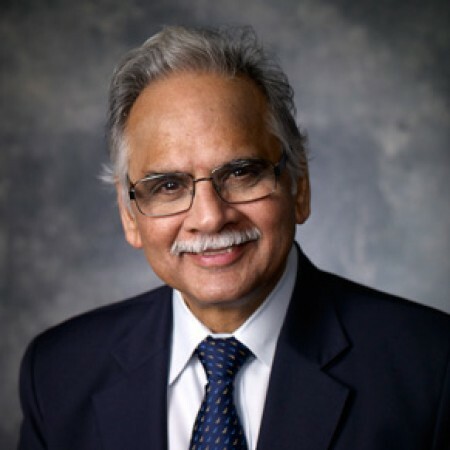 Dr. Mathukumalli Vidyasagar, professor of systems engineering in the Erik Jonsson School of Engineering and Computer Science, has recently received two honors. The Department of Electrical and Computer Engineering at The University of Wisconsin, where Vidyasagar earned his bachelor’s, master’s and doctorate degrees, named him among their “125 People of Impact.” The Department, celebrating their 125th anniversary this fall, recognized those who are representative of the significant contributions their alumni and faculty have made. General Chairman, IEEE Multi-Systems Conference, Hyderabad, India, 2013. Member, National Organizing Committee, International Congress of Mathematicians, Hyderabad, India, August 2010. Joint organizer (along with Dr. Somdatta Sinha), Workshop on Applications of control theory and optimization in biochemical pathways, Hyderabad, India, August 2010. 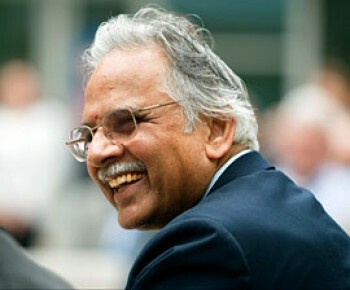 Member, Board of Governors, IEEE Control Systems Society, 2009. 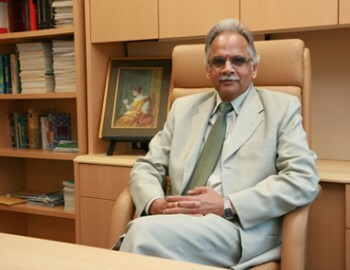 Chairman, National Subcommittee on Nanotechnology, Confederation of Indian Industry, 2009. Co-Guest Editor (along with Mustafa Khammash and Claire Tomlin), IEEE Transactions on Automatic Control/Circuits and Systems Special Issue on Systems Biology, January 2008. Two Post-Doctoral scholars have been sponsored during the past Five years, namely: Vijay Sekhar Chellaboina (U. Tennessee), Soura Dasgupta (U. Iowa). Total number of graduate students advised: 14 Ph.D., 12 Masters, 26 in total. Total number of Post-Doctoral scholars sponsored: 8.